Abstract：In this study, the polarization of fast shear waves (PFS) and time delay of slow shear-wave beneath the 17 stations in this area were computed by shear-wave Splitting Analysis Method (SAM) based on the seismic data during January 2006 to July 2015, recorded by Shaanxi Regional Digital Seismic Network. The parameters of shear-wave splitting have a striking regional division character. In the basin of Ordos and Weihe Basin, the PFS exhibits NE-SW and NEE-SWW direction, which agree with the direction of pressure stress in North China block. In the region adjacent to South-West of Ordos basin, which is located in a transition zone and accumulates a lot of strain, the dominant direction of PFS is complex. The south Qinling orogen is separated by Mianlue belt, the north region is Qinling micro-plate and the south region is located in north of Yangtze plate. The dominant PFS in Qinling micro-plate is in NWW-SEE direction, which is according with the direction of pressure stress in South China block. In north of Yangtze plate, the dominant direction of PFS is NE-SW, which may be affected by the northeastward movement of Tibetan Plateau. The results of PFS are coincident with the division of the tectonics that Qinling orogen is separated by Shangdan suture belt and Mianlue suture belt. The time delay of slow shear-wave is the biggest in north of Yangtze plate, which probably means that the anisotropy is stronger than that of other areas in this study. The results provide a very important basis for the further understanding of the compressive stress and kinetic processes of the study area. Bai X D, Chi B M, Guan C Y, et al. 2015. Ordos block modern movement patterns in southern ordos margin tectonic belt. Journal of Jilin University (Earth Science Edition) (in Chinese), 45(3): 674-682. Chang L J, Wang C Y, Ding Z F. 2011. Upper mantle anisotropy in the Ordos Block and its margins. Science China Earth Sciences, 54(6): 888-900. Chen G G, Ji F J, Zhou R J, et al. 2007. Primary research of activity segmentation of Longmenshan fault zone since Late-Quaternary. Seismology and Geology (in Chinese), 29(3): 657-673. Chen X B, Zang S X, Liu Y G, et al. 2005. Horizontal movement of Ordos block and the interaction of Ordos block and adjacent blocks. Journal of the Graduate School of the Chinese Academy of Sciences (in Chinese), 22(3): 309-314. Crampin S. 1984. Effective anisotropic elastic constants for wave propagation through cracked solids. Geophys. J. Int., 76(1): 135-145. Crampin S, Gao Y. 2010. Earthquakes can be stress-forecast. Geophys. J. Int., 180(3): 1124-1127. Cui D X, Hao M, Li Y H, et al. 2016. Present-day crustal movement and strain of the surrounding area of Ordos block derived from repeated GPS observations. Chinese J. Geophys. (in Chinese), 59(10): 3646-3661, doi: 10.6038/cjg20161012. Deng Q D, Zhang Y M, Xu G L, et al. 1979. On the tectonic stress field in China and its relation to plate movement. Seismology and Geology (in Chinese), 1(1): 11-22. Department of Earthquake Preparedness and Disaster Mitigation. 1995. The Historical Earthquake Catalog in China (in Chinese). Beijing: Seismological Press. Department of Earthquake Preparedness and Disaster Mitigation. 1999. The Modern Historical Earthquake Catalog in China (in Chinese). Beijing: Science and Technology of China Press. Di X L, Wang P, Luo Z G, et al. 2012. Earthquake catalog analysis of Shaanxi Province. Plateau Earthquake Research (in Chinese), 24(1): 68-70. Du X X, Zhang C S. 1994. Research on the parameters of earthquake focus and the mean stress-field in Shanxi area. Earthquake Research in Sichuan (in Chinese), (2): 6-11. Fang Y A. 1997. The relation between seismic activity and active fault in Shaanxi. Geology of Shaanxi (in Chinese), 15(1): 72-83. Gao Y, Crampin S. 2004. Observations of stress relaxation before earthquakes. Geophys. J. Int., 157(2): 578-582. Gao Y, Liu X Q, Liang W, et al. 2004. Systematic analysis method of shear-wave splitting: SAM software system. Earthquake Research in China (in Chinese), 20(1): 101-107. Gao Y, Shi Y T, Liang W, et al. 2008. Systematic analysis method of shear-wave splitting SAM (2007): Software system. Earthquake Research in China (in Chinese), 24(4): 345-353. Gao Y, Wang Q, Zhao B, et al. 2014. A rupture blank zone in middle south part of Longmenshan Faults: Effect after Lushan Ms7.0 earthquake of 20 April 2013 in Sichuan, China. Science China Earth Sciences, 57(9): 2036-2044. Han Z J, Xu J, Ran Y K, et al. 2003. Active blocks and strong seismic activity in North China region. Science in China Series D: Earth Sciences, 46(S2): 153-167. Hsü K J, Wang Q C, Li J L, et al. 1987. Tectonic evolution of Qinling Mountains, China. Eclogae Geol. Helv., 80(3): 735-752. Jia M, Wang X G, Li S L, et al. 2015. Crustal structures of Ordos block and surrounding regions from receiver functions. Progress in Geophysics (in Chinese), 30(6): 2474-2481, doi: 10.6038/pg20150605. Jiang J L. 1991. Recent tectonic stress field in Shaanxi province and its adjacent area. Northwestern Seismological Journal (in Chinese), 13(4): 85-88. Li C Y. 1975. Tectonic evolutions of some mountain ranges in China, as tentatively interpreted on the concept of plate tectonics. Acta Geophysica Sinica (in Chinese), 18(1): 52-76. Li S Z, Lai S C, Zhang G W, et al. 2003. Metamorphic dynamics of the Mian-Lüe suture zone of Qinling orogenic belt and the southern Qinling block. Chinese Journal of Geology (in Chinese), 38(2): 137-154. Li Y K, Gao R, Gao J W, et al. 2015. Characteristics of crustal velocity structure along Qingling orogenic belt. Progress in Geophysics (in Chinese), 30(3): 1056-1069, doi: 10.6038/pg20150309. Liu C, Chong J J, Ni S D, et al. 2009. Study on the crustal thickness beneath stations of seismic network in Shaanxi province by teleseismic receiver function. Seismology and Geology (in Chinese), 31(2): 313-320. Liu G, Gao Y, Shi Y T. 2015. Crustal anisotropy in the Southeast of the Yunnan-Guizhou Plateau, China. Earthquake (in Chinese), 35(3): 75-85. Liu S, Wu P, Yang J S, et al. 2014. Preliminary study of seismic anisotropy in Qianguo area, Jilin province. Chinese J. Geophys. (in Chinese), 57(7): 2088-2098, doi: 10.6038/cjg20140706. Mattauer M, Matte P, Malavieille J, et al. 1985. Tectonics of the Qinling Belt: Build-up and evolution of eastern Asia. Nature, 317(6037): 496-500. Qu W, Zhang Q, Wang Q L, et al. 2011. Research on present crustal horizontal deformation feature of Weihe Basin and its tectonic activity. Geomatics and Information Science of Wuhan University (in Chinese), 36(7): 830-834. Quan X C. 2005. Weihe basin faulted structure study. Coal Geology of China (in Chinese), 17(3): 1-4, 8. Ren J, Peng J B, Wang F Y, et al. 2012. The research of deep structural features of Weihe basin and adjacent areas. Chinese J. Geophys. (in Chinese), 55(9): 2939-2947, doi: 10.6038/j.issn.0001-5733.2012.09.013. Sheng S Z, Wan Y G, Huang J C, et al. 2015. Present tectonic stress field in the Circum-Ordos region deduced from composite focal mechanism method. Chinese J. Geophys. (in Chinese), 58(2): 436-452, doi: 10.6038/cjg20150208. Shi Y. 2012. Formation and tectonic evolution of the eastern Qinling Orogen, Central China[Ph. D. thesis] (in Chinese). Nanjing: Nanjing University. Shi Y T, Gao Y, Zhao C P, et al. 2009. A study of seismic anisotropy of Wenchuan earthquake sequence. Chinese J. Geophys. (in Chinese), 52(2): 398-407. Si X, Teng J W, Liu Y S, et al. 2016. Crust structure of the Qinling orogenic and the region on its north and south margins from teleseismic receiver function. Chinese J. Geophys. (in Chinese), 59(4): 1321-1334, doi: 10.6038/cjg20160414. Teng J W, Li S L, Zhang Y Q, et al. 2014. Seismic wave fields and dynamical response for Qinling orogen and sedimentary basins and crystalline basement. Chinese J. Geophys. (in Chinese), 57(3): 770-788, doi: 10.6038/cjg20140308. Wan Y G. 2010. Contemporary tectonic stress field in China. Earthquake Science, 23(4): 377-386. Wang P, Hui S X, Di X L, et al. 2014. The analysis of minimum magnitude of completeness of Shaanxi earthquake catalogues. 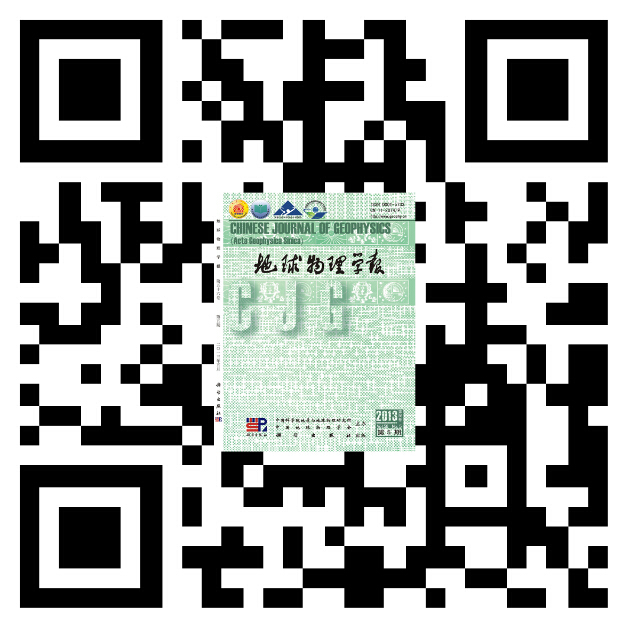 Technology for Earthquake Disaster Prevention (in Chinese), 9(S1): 702-708. Wang Z Q, Yan Q R, Yan Z, et al. 2009. New division of the main tectonic units of the Qinling Orogenic Belt, Central China. Acta Geologica Sinica (in Chinese), 83(11): 1527-1546. Wu J, Gao Y, Shi Y T, et al. 2010. Tectonic stress analysis based on the crustal seismic anisotropy in Jiangsu and its adjacent area. Chinese J. Geophys. (in Chinese), 53(7): 1622-1630, doi: 10.3969/j.issn.0001-5733.2010.07.013. Xiao A C, Wei G Q, Shen Z Y, et al. 2011. Basin-mountain system and tectonic coupling between Yangtze block and South Qinling orogen. Acta Petrologica Sinica (in Chinese), 27(3): 601-611. Xie F R, Cui X F, Zhao J T, et al. 2004. Regional division of the recent tectonic stress field in China and adjacent areas. Chinese J. Geophys. (in Chinese), 47(4): 654-662, doi: 10.3321/j.issn:0001-5733.2004.04.016. Xu S B, Mi N, Xu M J, et al. 2014. Crustal structures of the Weihe graben and its surroundings from receiver functions. Science China Earth Sciences, 57(2): 372-378. Xu W L. 1991. A study on tectonic stress field on the middle section of northern Qinling mountain in Shaanxi province. Seismology and Geology (in Chinese), 13(2): 161-172. Yao Z X, Wang C Y, Sandvol E, et al. 2014. Lithospheric deformation of the Ordos block from Rayleigh wave phase velocities and azimuthal anisotropy. Chinese J. Geophys. (in Chinese), 57(9): 2777-2789, doi: 10.6038/cjg20140905. Zhang G W, Yu Z P, Sun Y, et al. 1989. The major suture zone of the Qinling orogenic belt. Journal of Southeast Asian Earth Sciences, 3(1-4): 63-76. Zhang G W, Meng Q R, Lai S C. 1995a. Tectonics and structure of Qinling orogenic belt. Science in China (Series B), 38(11): 1379-1394. Zhang G W, Zhang Z Q, Dong Y P. 1995b. Nature of main tectono-lithostratigraphic units of the Qinling Orogen: Implications for the tectonic evolution. Acta Petrologica Sinica (in Chinese), 11(2): 101-114. Zhang G W, Meng Q R, Yu Z P, et al. 1996. Orogenesis and dynamics of the Qinling Orogen. Science in China (Series D), 39(3): 225-234. Zhang G W, Zhang B R, Yuan X C, et al. 2001. Qinling Orogenic Belt and Continental Dynamics (in Chinese). Beijing: Science Press. Zhang G W, Dong Y P, Lai S C, et al. 2004. Mianlüe tectonic zone and Mianlüe suture zone on southern margin of Qinling-Dabie orogenic belt. Science in China (Series D) Earth Sciences, 47(4): 300-316. Zhang P Z, Wang Q, Ma Z J. 2002. GPS velocity field and active crustal blocks of contemporary tectonic deformation in continental China. Earth Science Frontiers (in Chinese), 9(2): 430-441. Zhang Q, Qu W, Peng J B, et al. 2012. Research on tectonic causes of numerous ground fissures development mechanism and its unbalance distribution between eastern and western of Weihe basin. Chinese J. Geophys. (in Chinese), 55(8): 2589-2597, doi: 10.6038/j.issn.0001-5733.2012.08.010. Zhang Y Q, Yang N, Chen W, et al. 2003. Late Cenozoic tectonic deformation history of the east-west geomorphological boundary zone of China and uplift process of the eastern margin of the Tibetan plateau. Earth Science Frontiers (in Chinese), 10(4): 599-612. Zhao B, Gao Y, Shi Y T, et al. 2011. Shear wave splitting in the crust in the intersection zone of the Zhangjiakou-Bohai seismic belt and Shanxi seismic belt. Chinese J. Geophys. (in Chinese), 54(6): 1517-1527, doi: 10.3969/j.issn.0001-5733.2011.06.011. 白相东, 迟宝明, 关成尧等. 2015. 鄂尔多斯南缘构造带现今地块运动模式. 吉林大学学报(地球科学版), 45(3): 674-682. 常利军, 王椿镛, 丁志峰. 2011. 鄂尔多斯块体及周缘上地幔各向异性研究. 中国科学: 地球科学, 41(5): 686-699. 陈国光, 计凤桔, 周荣军等. 2007. 龙门山断裂带晚第四纪活动性分段的初步研究. 地震地质, 29(3): 657-673. 陈小斌, 臧绍先, 刘永岗等. 2005. 鄂尔多斯地块的现今水平运动状态及其与周缘地块的相互作用. 中国科学院研究生院学报, 22(3): 309-314. 崔笃信, 郝明, 李煜航等. 2016. 鄂尔多斯块体周缘地区现今地壳水平运动与应变. 地球物理学报, 59(10): 3646-3661, doi: 10.6038/cjg20161012. 邓起东, 张裕明, 许桂林等. 1979. 中国构造应力场特征及其与板块运动的关系. 地震地质, 1(1): 11-22. 狄秀玲, 王平, 罗治国等. 2012. 陕西省地震编目发展研究. 高原地震, 24(1): 68-70. 杜兴信, 张春生. 1994. 陕西地区震源参数和平均应力场的研究. 四川地震, (2): 6-11. 方永安. 1997. 陕西地震活动规律与活动断裂的关系. 陕西地质, 15(1): 72-83. 高原, 刘希强, 梁维等. 2004. 剪切波分裂系统分析方法(SAM)软件系统. 中国地震, 20(1): 101-107. 高原, 王琼, 赵博等. 2013. 龙门山断裂带中南段的一个破裂空段—芦山地震的震后效应. 中国科学: 地球科学, 43(6): 1038-1046. 国家地震局震害防御司. 1995. 中国历史强震目录(公元前23世纪—公元1911年). 北京: 地震出版社. 韩竹军, 徐杰, 冉勇康等. 2003. 华北地区活动地块与强震活动. 中国科学(D辑), 33(S1): 108-118. 贾萌, 王显光, 李世林等. 2015. 鄂尔多斯块体及周边区域地壳结构的接收函数研究. 地球物理学进展, 30(6): 2474-2481, doi: 10.6038/pg20150605. 姜家兰. 1991. 陕西及其邻近地区现代构造应力场. 西北地震学报, 13(4): 85-88. 李春昱. 1975. 用板块构造学说对中国部分地区构造发展的初步分析. 地球物理学报, 18(1): 52-76. 李三忠, 赖绍聪, 张国伟等. 2003. 秦岭勉(县-)略(阳)缝合带及南秦岭地块的变质动力学研究. 地质科学, 38(2): 137-154. 李英康, 高锐, 高建伟等. 2015. 秦岭造山带的东西向地壳速度结构特征. 地球物理学进展, 30(3): 1056-1069, doi: 10.6038/pg20150309. 刘春, 崇加军, 倪四道等. 2009. 利用远震接收函数反演陕西地震台站下方的地壳厚度. 地震地质, 31(2): 313-320. 刘庚, 高原, 石玉涛. 2015. 云贵高原东南部地壳各向异性初步研究. 地震, 35(3): 75-85. 刘莎, 吴朋, 杨建思等. 2014. 吉林省前郭地区地震各向异性的初步探讨. 地球物理学报, 57(7): 2088-2098, doi: 10.6038/cjg20140706. 瞿伟, 张勤, 王庆良等. 2011. 渭河盆地现今地壳水平形变特征及区域构造活动性. 武汉大学学报·信息科学版, 36(7): 830-834. 权新昌. 2005. 渭河盆地断裂构造研究. 中国煤田地质, 17(3): 1-4, 8. 任隽, 彭建兵, 王夫运等. 2012. 渭河盆地及邻区地壳深部结构特征研究. 地球物理学报, 55(9): 2939-2947, doi: 10.6038/j.issn.0001-5733.2012.09.013. 盛书中, 万永革, 黄骥超等. 2015. 应用综合震源机制解法推断鄂尔多斯块体周缘现今地壳应力场的初步结果. 地球物理学报, 58(2): 436-452, doi: 10.6038/cjg20150208. 时毓. 2012. 中国中部东秦岭造山带的形成和演化[博士论文]. 南京: 南京大学. 石玉涛, 高原, 赵翠萍等. 2009. 汶川地震余震序列的地震各向异性. 地球物理学报, 52(2): 398-407. 司芗, 滕吉文, 刘有山等. 2016. 秦岭造山带与南北相邻地带远震接收函数与地壳结构. 地球物理学报, 59(4): 1321-1334, doi: 10.6038/cjg20160414. 滕吉文, 李松岭, 张永谦等. 2014. 秦岭造山带与沉积盆地和结晶基底地震波场及动力学响应. 地球物理学报, 57(3): 770-788, doi: 10.6038/cjg20140308. 王平, 惠少兴, 狄秀玲等. 2014. 陕西区域地震目录最小完整性震级研究. 震灾防御技术, 9(增刊): 702-708. 王宗起, 闫全人, 闫臻等. 2009. 秦岭造山带主要大地构造单元的新划分. 地质学报, 2009, 83(11): 1527-1546. 吴晶, 高原, 石玉涛等. 2010. 基于地壳介质各向异性分析江苏及邻区构造应力特征. 地球物理学报, 53(7): 1622-1630, doi: 10.3969/j.issn.0001-5733.2010.07.013. 肖安成, 魏国齐, 沈中延等. 2011. 扬子地块与南秦岭造山带的盆山系统与构造耦合. 岩石学报, 27(3): 601-611. 谢富仁, 崔效锋, 赵建涛等. 2004. 中国大陆及邻区现代构造应力场分区. 地球物理学报, 47(4): 654-662, doi: 10.3321/j.issn:0001-5733.2004.04.016. 徐树斌, 米宁, 徐鸣洁等. 2013. 利用接收函数研究渭河地堑及其周边地壳结构. 中国科学: 地球科学, 43(10): 1651-1658. 徐文龙. 1991. 陕西北秦岭中段构造应力场的初步研究. 地震地质, 13(2): 161-172. 姚志祥, 王椿镛, Sandvol E等. 2014. 利用瑞利面波相速度和方位各向异性研究鄂尔多斯块体的岩石圈变形特征. 地球物理学报, 57(9): 2777-2789, doi: 10.6038/cjg20140905. 张国伟, 孟庆任, 赖绍聪. 1995a. 秦岭造山带的结构构造. 中国科学(B辑), 25(9): 994-1003. 张国伟, 张宗清, 董云鹏. 1995b. 秦岭造山带主要构造岩石地层单元的构造性质及其大地构造意义. 岩石学报, 11(2): 101-114. 张国伟, 孟庆任, 于在平等. 1996. 秦岭造山带的造山过程及其动力学特征. 中国科学(D辑), 26(3): 193-200. 张国伟, 张本仁, 袁学诚等. 2001. 秦岭造山带与大陆动力学. 北京: 科学出版社. 张国伟, 董云鹏, 赖绍聪等. 2003. 秦岭—大别造山带南缘勉略构造带与勉略缝合带. 中国科学(D辑), 33(12): 1121-1135. 张培震, 王琪, 马宗晋. 2002. 中国大陆现今构造运动的GPS速度场与活动地块. 地学前缘, 9(2): 430-441. 张勤, 瞿伟, 彭建兵等. 2012. 渭河盆地地裂缝群发机理及东、西部地裂缝分布不均衡构造成因研究. 地球物理学报, 55(8): 2589-2597, doi: 10.6038/j.issn.0001-5733.2012.08.010. 张岳桥, 杨农, 陈文等. 2003. 中国东西部地貌边界带晚新生代构造变形历史与青藏高原东缘隆升过程初步研究. 地学前缘, 10(4): 599-612. 赵博, 高原, 石玉涛等. 2011. 张家口—渤海地震带与山西地震带交汇区的地壳剪切波分裂. 地球物理学报, 54(6): 1517-1527, doi: 10.3969/j.issn.0001-5733.2011.06.011. 中国地震局震害防御司. 1999. 中国近代地震目录(公元1912年—1990年Ms≥4.7). 北京: 中国科学技术出版社. 丁文秀, 付媛媛, 高原, 廖武林, 何亚娟, 蔡永建, 申学林. 秦岭—大别及邻区背景噪声的瑞利波层析成像[J]. 地球物理学报, 2017, 60(8): 2959-2968. 王志, 王绪本, 黄润秋, 刘冠男. 龙门山断裂带多参数深部结构成像与地震成因研究[J]. 地球物理学报, 2017, 60(6): 2068-2079. 曾思红, 胡祥云, 李建慧. 羌塘地块中部南北向断裂的构造特征及其动力学意义[J]. 地球物理学报, 2017, 60(6): 2172-2180.